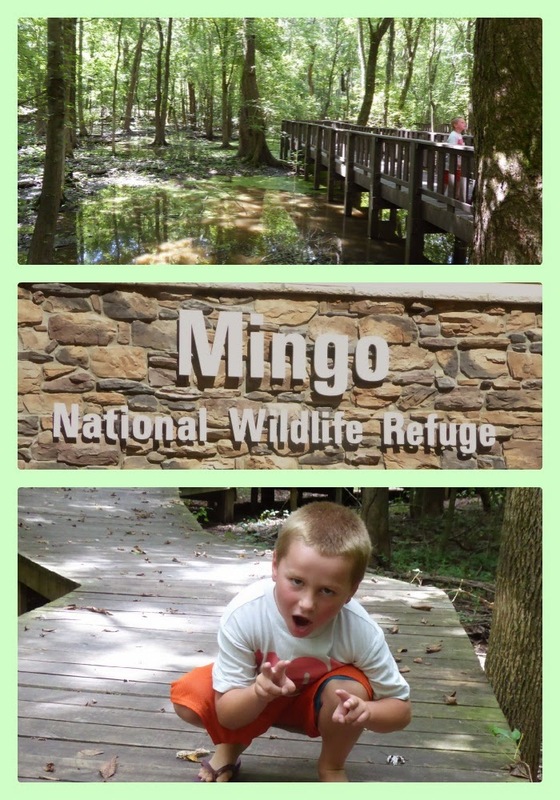 This past year Mingo Wildlife Refuge opened their new visitors center, and while I am a regular at Mingo, this was my first time visiting the center. I would classify this nature center as a small version of the Cape Girardeau Conservation Center. While there is lots of learning to be had, it is about 1/3 of the size of Cape's Nature Center. The building is state of the art and beautifully designed - and handicap accessible. Inside the center you will find learning centers about everything you will find at Mingo - and a few slithery friends! We spent about 30 minutes inside the Visitors Center and then headed off to Nature Boardwalk Trail for a short walk.